Before she was a renowned humanitarian, conservationist, and animal activist, Dr. Jane Goodall was a little girl with a very special toy chimpanzee named Jubilee. Together, Jane and Jubilee went on outdoor adventures and observed all the miracles of nature around them. As they learned more and more on their expeditions, Jane dreamed of spending the rest of her life living with and helping animals. And one day, she would go on to do just that. 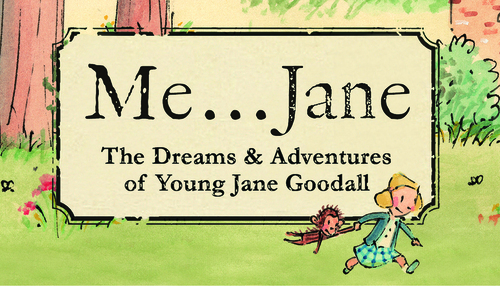 In this brand new musical adaptation, join young Jane and her special friend as they learn about the world around them and the importance of protecting all living species. With anecdotes taken directly from Jane Goodall’s autobiography, this adaptation makes this very true story accessible for the very young—and young at heart. “THEATRICAL MAGIC. Get yourself and your whole family [to the ASC] before this show swings away.” —Broadway World Join us for a VIP Family Lunch before the show! Call 205 975 4012 For More Details.